Hello and welcome to my stop on the spring cleaning giveaway hop! 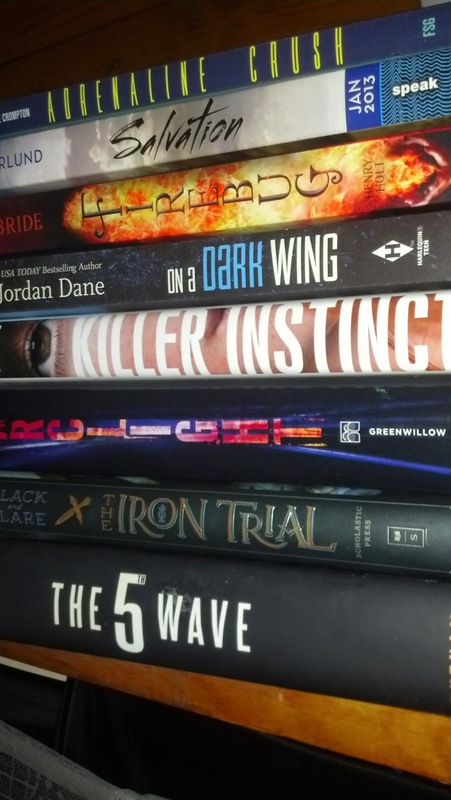 The lucky winner will get to choose one of the books pictured below. All you have to do to enter is fill out the rafflecopter and make sure to keep hopping! Killer Instinct looks like a good thriller. Thanks for the chance to win! I still haven't read The Fifth Wave. Looks good, thanks for the chance to win! I think I would chose Arclight or The 5th Wave. Thank you so much! I'm going crazy since all I want is Firebug!! !